The following is a list of the pitchers that have the most wins in the World Series. Every pitcher with six or more wins is listed and each one of these pitchers was brilliant at times in the World Series and each one played a big role in the success of their teams. These were all money pitchers who, when winning shares of World Series checks were on the line, were money in the bank for themselves and their teammates. Five of these pitchers played for the New York Yankees but none of them are on the list just because the Yankees were always playing in the World Series. Every pitcher on this list pitched to a lower ERA in the World Series than they did in their regular season careers and in a couple cases well below their career ERA's. Whitey Ford played his whole 16 year career pitching for the New York Yankees. He appeared in 11 World Series, started 22 games and had a won-lost record of 10-8 while pitching to a 2.71 ERA. Ford's career regular season ERA was 2.75 so he pitched to about the same ERA in the World Series. Despite having the most wins in the World Series of any pitcher and an excellent ERA Whitey Ford was a hot and cold pitcher in the Fall Classic. 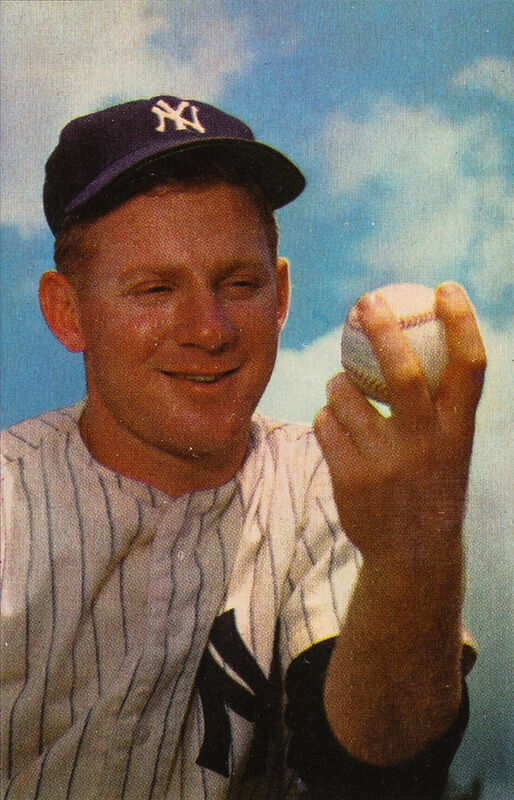 In the 1960 and 1961 World Series Whitey Ford went 4-0 and did not surrender a run over 32 innings pitched. But in the next three World Series from 1962-1964 Ford was awful going 1-4 while giving up 20 earned runs in 37 innings pitched. Though he was a very good Fall Classic pitcher Whitey Ford was not close to being the all-time best pitcher in the World Series. The New York Yankees went 6-5 in the World Series that Whitey Ford pitched in. Bob Gibson is tied for second for most World Series wins with 7. Gibson won 7 games in just three World Series all with the St. Louis Cardinals. His overall record in the Fall Classic is superb at 7-2 with 1.89 ERA with 92 strikeouts in 81 innings with only 17 walks. Gibson's career regular season ERA is 2.91. The Cardinals went 2-1 in the World Series that Bob Gibson pitched in. Gibson started 9 World Series games and pitched a total of 81 innings or 9 innings per start average though he only pitched 8 complete games one of which was 10 innings long. According to catcher Tim McCarver, Gibson had bad eyesight so McCarver would wrap bright tape around his fingers so Gibson could see the signs better. Could he have pitched any better if he could have seen better? Allie Reynolds was a brilliant World Series pitcher and the New York Yankees won all 6 World Series that he pitched in for them including five in a row from 1949-1953 (the other win was in 1947). During those World Series, Allie Reynolds had a record of 7-2 with a 2.79 ERA, And he also saved 4 more World Series games. In total Allie Reynolds started 9 World Series games and relieved in 6 more pitching a total of 77.1 innings. Reynold's regular season career ERA is 3.30. Allie Reynolds was as good a big game pitcher in the World Series as anybody in baseball history and was a huge reason why the Yankees were so successful in the late 1940's and early 1950's. Red Ruffing was another brilliant World Series pitcher. From 1932 through 1942 he pitched in 7 World Series all with the New York Yankees and had a combined record of 7-2 with a 2.63 ERA in 10 starts while the Yankees went 6-1 in those World Series. Red Ruffing's career regular season ERA is 3.80. Chief Bender went 6-4 with a 2.44 ERA in 10 World Series starts. Bender's teams were 3-2 in the World Series. Waite Hoyt went 6-4 in the World Series while pitching to a 1.83 ERA vs a 3.59 regular season ERA. Lefty Gomez was a World Series hero for the New York Yankees, going 6-0 with a 2.86 ERA and the Yankees won all five World Series Gomez pitched in.